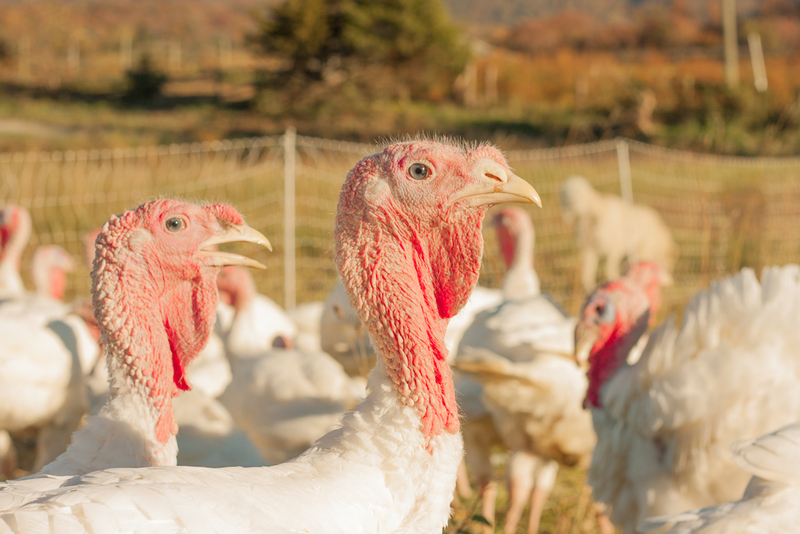 Our poultry (chicken and turkey) is raised on pasture where they are kept in moveable shelters fully open to grass. They have sunshine, protection from the elements, and fresh pasture every day. They are fed a non-medicated, hormone-free, non-GMO grain in addition to the grass and bugs they forage. We raise chickens seasonally for both meat and eggs. 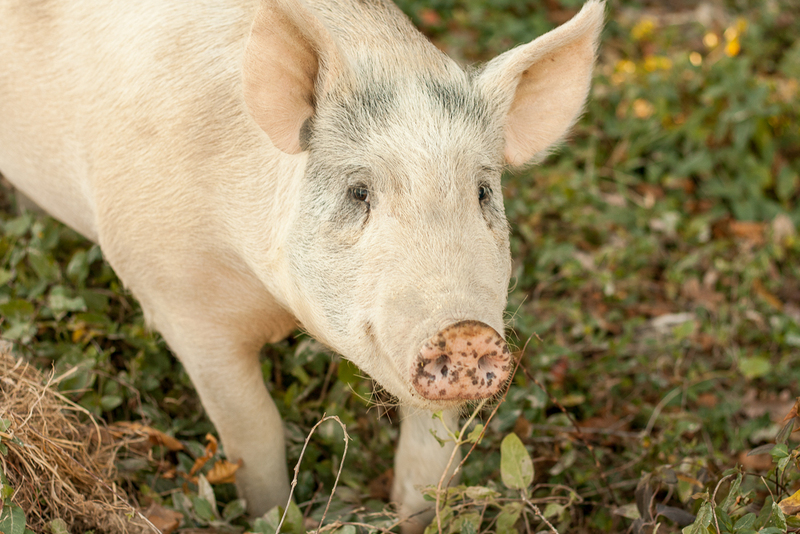 Our pigs are raised in the forest where they enjoy the ample shade, acorns, grubs, and the leaves of saplings, as well as produce from local sources. They forage for acorns and grubs and graze on the edges of the forest. They also are fed a vegetarian, non-medicated, non-GMO grain supplement. Our beef is raised on our own pastures. We keep them healthy through providing proper care and rotational grazing. 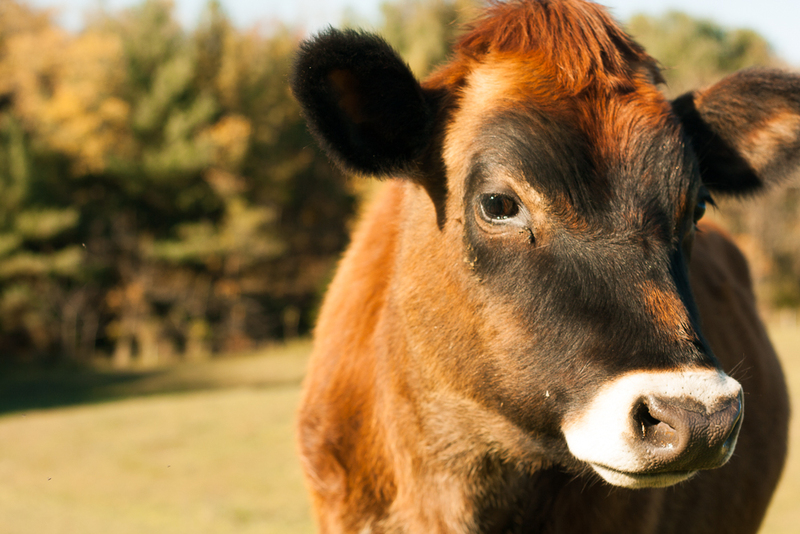 We do not use antibiotics or routine medications on any of our animals. If you would like to purchase meats from Beatrix Farm please email or call/text. We look forward to hearing from you!